After revisiting Baguio City and spent a weekend there differently by going to a mining site and a waterfalls nearby the city, it didn’t take long for me to go back to the mountain city. Actually, it only took me three weeks to get back to the mountain. Who will resist when a friend of mine invited me to go there with free accommodation? The trip is supposed to be a High School Barkada trip of my best friend but since we’re classmates in High School and I also know her friends, she invited me as well. But in the end, only three including us pushed through with the trip. 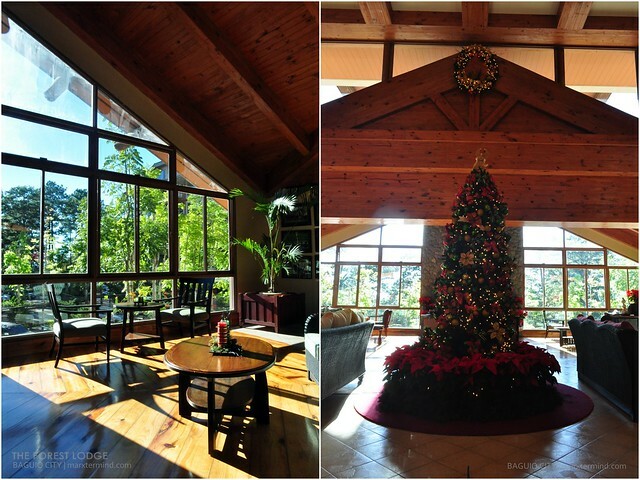 It’s nearing the holidays when we went to Baguio. We didn’t realize the number of passengers who will get to the city so we didn’t bother to reserve for bus tickets. So when we arrived at the bus terminal of Victory Liner, the people lined up as chance passengers surprised us. We took our chance on to see if there’s a luck on it; but unfortunately only one or two chance passengers can get in in every bus trip. So we went out of the terminal and looked for other bus lines that go to Baguio City. Just in time when we arrived at the bus terminal of Genesis Bus. Only, three seats were available when we entered the bus. The luck was still on us. We left the terminal at around 2:00 AM. 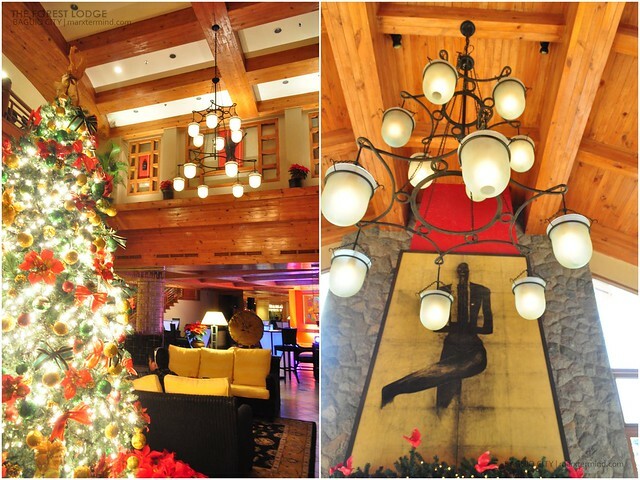 After 6 hours of traveling the road, we had finally arrived in Baguio City. Upon arriving we went to Victory Liner to reserve our return tickets. Baka maubusan na naman. We arrived at our hotel at around 8:00 AM; since it isn’t our time yet for check in, they allowed us to leave our things first so we could go out and roam around. But before we went out, we observed the lobby first and had some photographs here. Oh, I love the fireplace. The season has really started (well it has already ended). After taking some photos and made some poses here, we went out and had our breakfast. We planned to have it in Cafe Batirol but unfortunately it was still closed that time of the day so we looked for other place to eat. We then had our breakfast in one of the restaurants in Filling Station. Afterwards, we bought food and items we needed for our stay like chips, cup noodles, water and alcohol. Then we went to Good Taste for some good lunch. After the satisfying meal, we took a cab going back to our hotel. 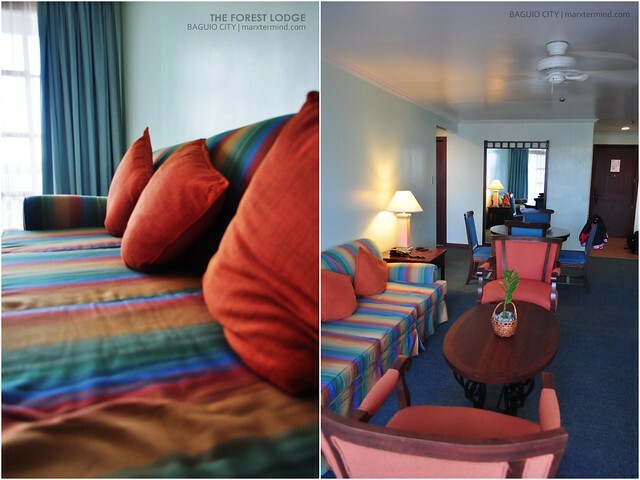 The Forest Lodge, previously known as Forest Cabins is located inside Camp John Hay. It’s just an easy find as it’s situated next to The Manors. 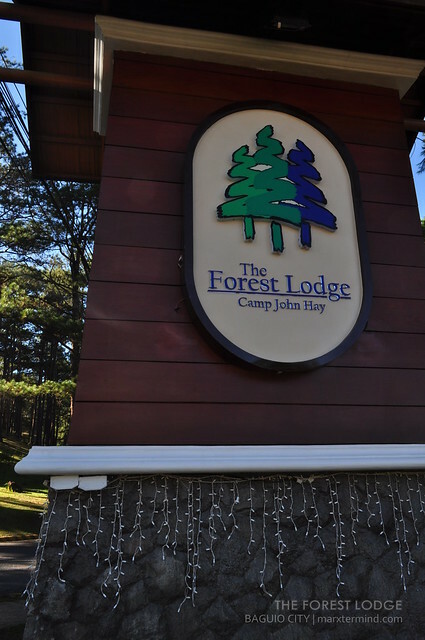 The hotel is an ideal choice for visitors who want to spend relaxing vacation in Baguio and make Camp John Hay their second home. It was already 3:00 PM when we went back to our hotel. We checked in and excitedly went to our room. The room that my friend had reserved is a one-bedroom room suite; and this part of the hotel room greeted us. The place is so big that we can even have a party for big group here. Well, even though the trip pushed through with just the three of us, it was still fun. No party happened though but a chill and fun drinks between the three of us. Some of the equipment might not be that high-end but the interior and how the room looks like is very lovely. 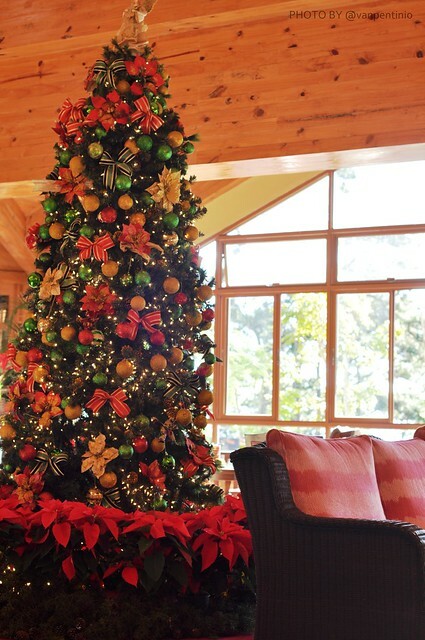 It also has a veranda wherein you can see the terrain of trees. We have two bathrooms and two double beds, nice. The bed is too soft and comfort that really made me feel so lazy to get up. I even had a restful nap. 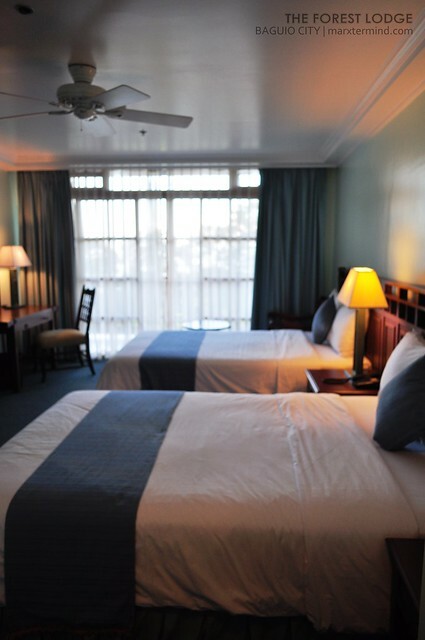 Our room is so relaxing that I can stay there forever and do nothing but bond with my friends. 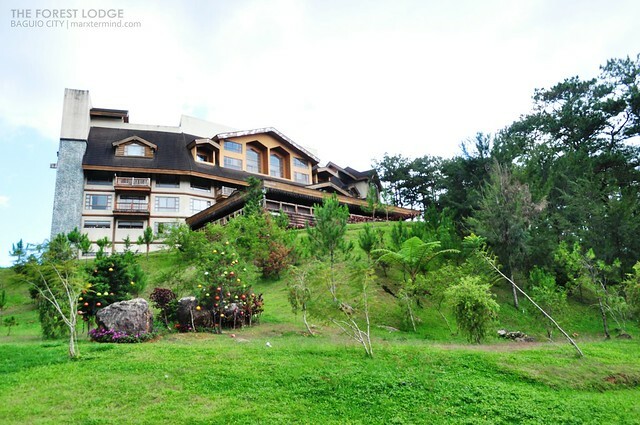 In fact, because of the comfort and Baguio breeze, I went out of bed the next day around lunch time already. That’s how relaxing our hotel room is. Note: Some photos are owned by Vanessa. 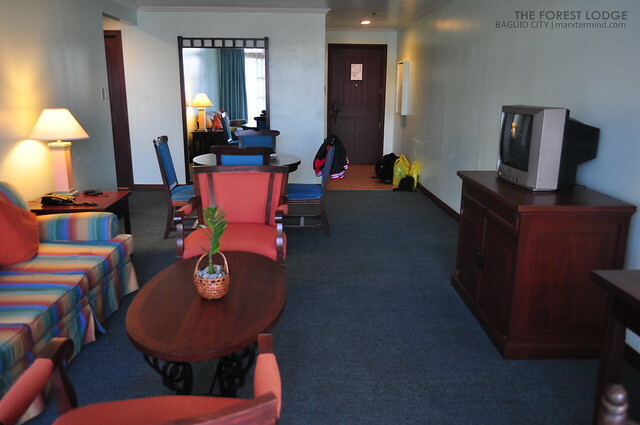 Room rates start at PHP 2,900 per night for twin sharing. Oh how I love spacious rooms! Especially cause Luna runs around ALL the time and does dancing + stunts. LOL. Will try to stay here next time. Mgkano dyan? 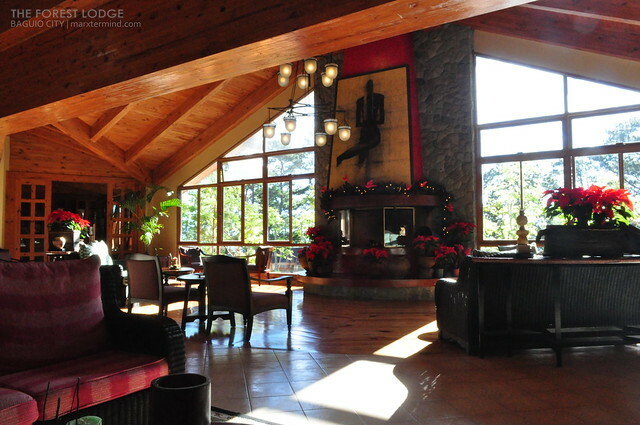 Gusto ko ulit mag Baguio. It's been a while.